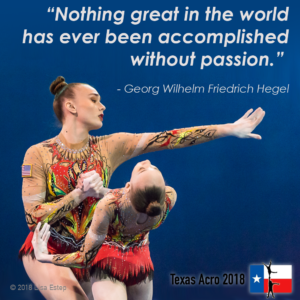 Texas is home to 18 of the athletes competing in the 2018 World Age Group Competition and World Championships.The competition will be held in Antwerp, Belgium from April 4 – 15. Emily and Aubrey have been partners for two years. Aubrey placed 4th at the 2016 World Age Group Competition in a Jr Elite 12-18 women’s pair with another top. 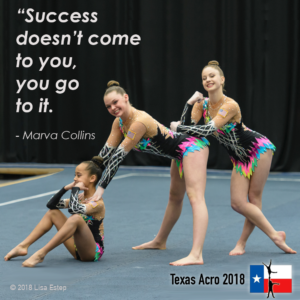 She and Emily began competing as Jr Elite 13-19 in 2017 and took the silver medal at the Geneva Acro Cup. 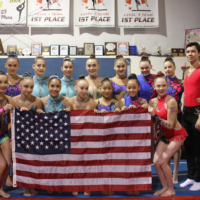 They competed as seniors at nationals and won gold, followed by a 4th place finish at the 2017 World Games in Poland and gold at the Pan American Championships. 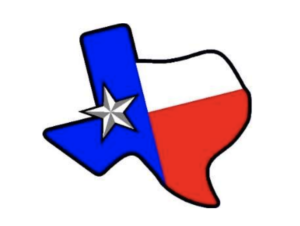 Jordan and Tim have been partners for two years. 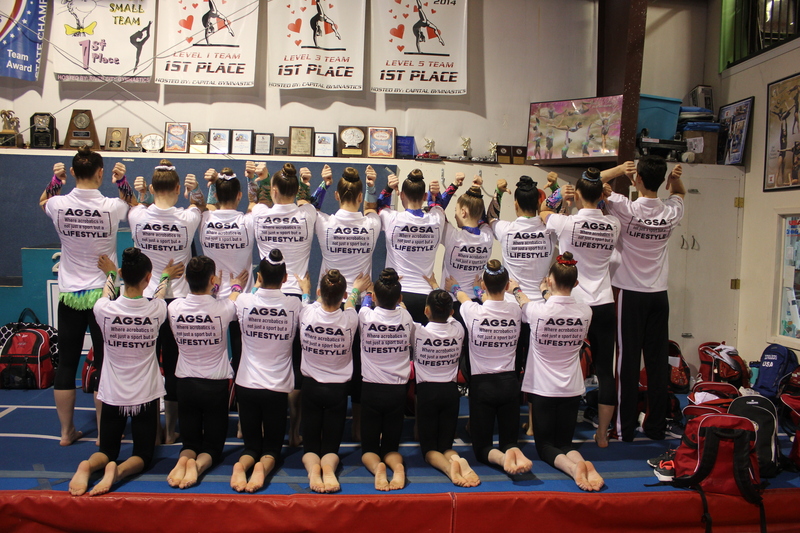 Tim has been in acro for five years and has competed in both mixed pair and men’s pair. 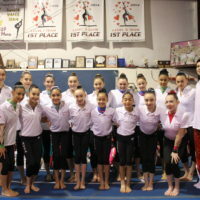 Jordan competed at the 2016 World Age Group Competition as a top in an 11-16 trio. 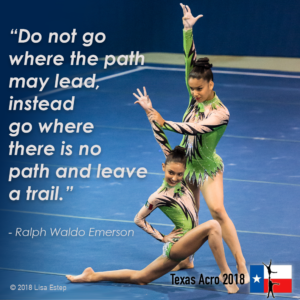 In 2017, the pair competed as Jr Elite 12-18 and won nationals as well as taking silver at the Geneva Acro Cup and the Pan American Championships. 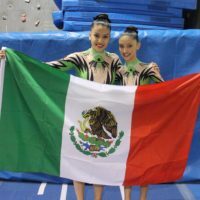 Liz and Lexi have been partners for four years. 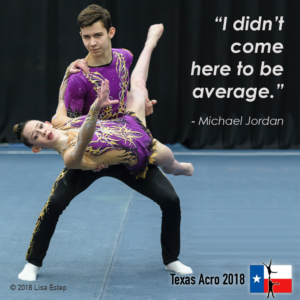 The first two years were with a different top (Jordan, above) and they competed at the 2016 World Age Group Competition in China as an 11-16 trio. 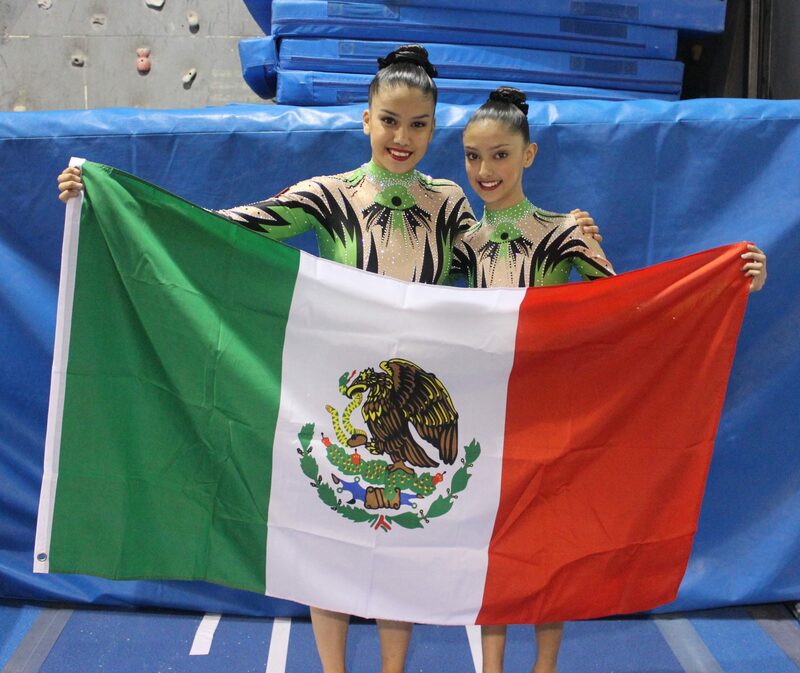 Sarah also competed in China as a top in an 11-16 women’s pair. 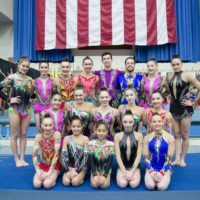 For the last two years, the three girls have competed as a Jr Elite 12-18 trio. 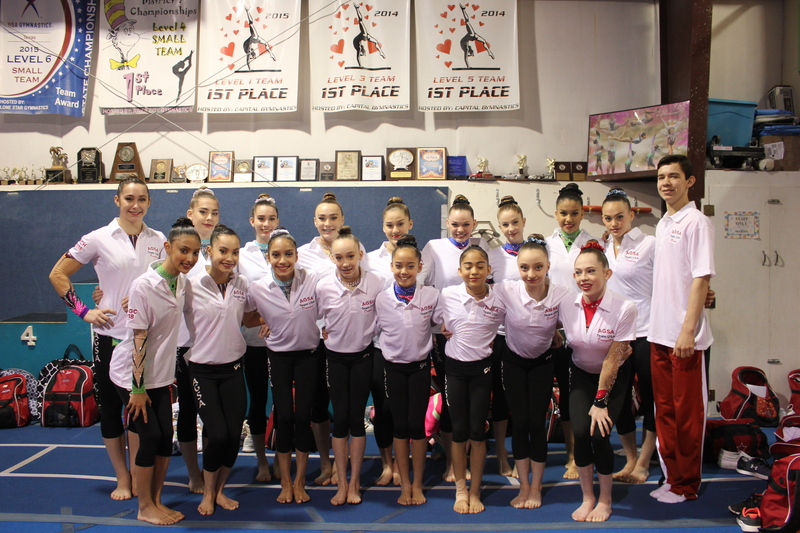 In 2017, they were Pan American Champions and took the silver medal at the Geneva Acro Cup. 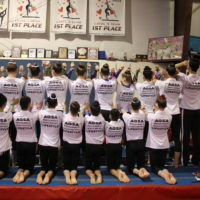 Reagan and Alex have been partners for two years. Alex placed 4th in an 11-16 women’s pair at the 2016 World Age Group Competition in China with a different top. 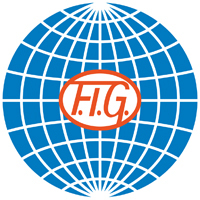 Reagan comes from an artistic gymnastics and dance background and this is her first trip to Worlds. 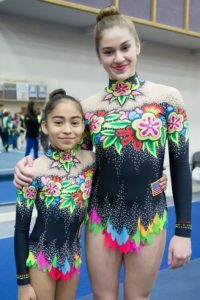 In 2017 the pair won Nationals, the Pan American Championships, and the Geneva Acro Cup. 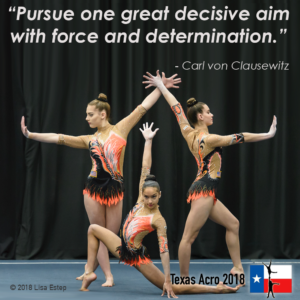 Caitlyn and Schyler have been partners for four years, the first year as a level 8 trio with a different top, and the last three years as an 11-16 trio with Satia. 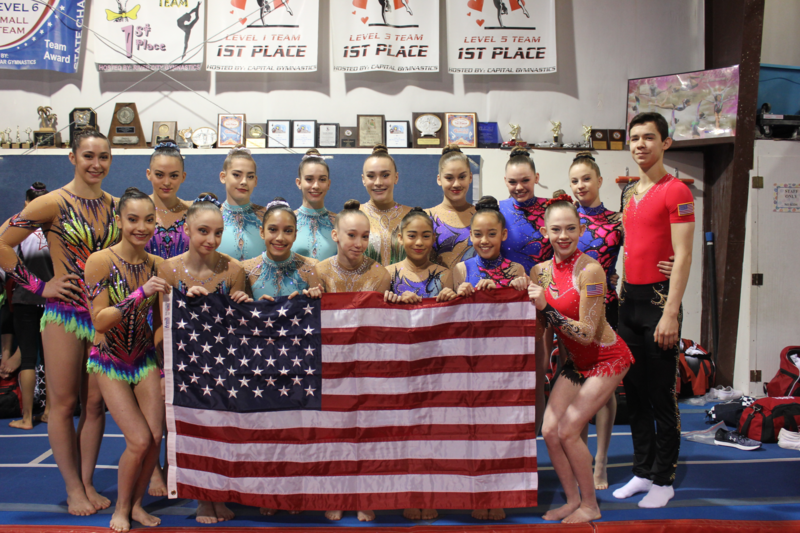 In 2017 they won silver at the Geneva Acro Cup and were US and Pan-American champions. 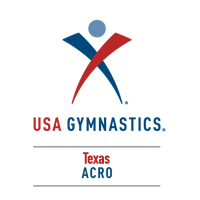 Kyra and Angie have been partners for two years, and both have been in acro for five years. 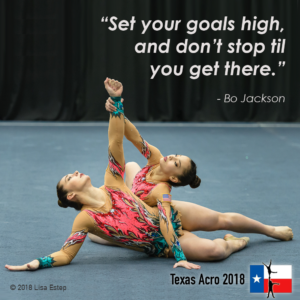 In 2017, the pair won nationals as well as the all-around title at the Canadian Acro Cup and silver at the Pan American Championships. 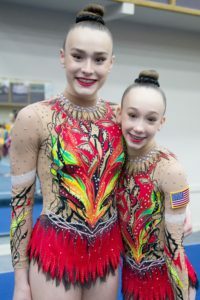 Millie & Makena have been partners for three years — the first as part of an 11-16 trio and the last two years as a pair. 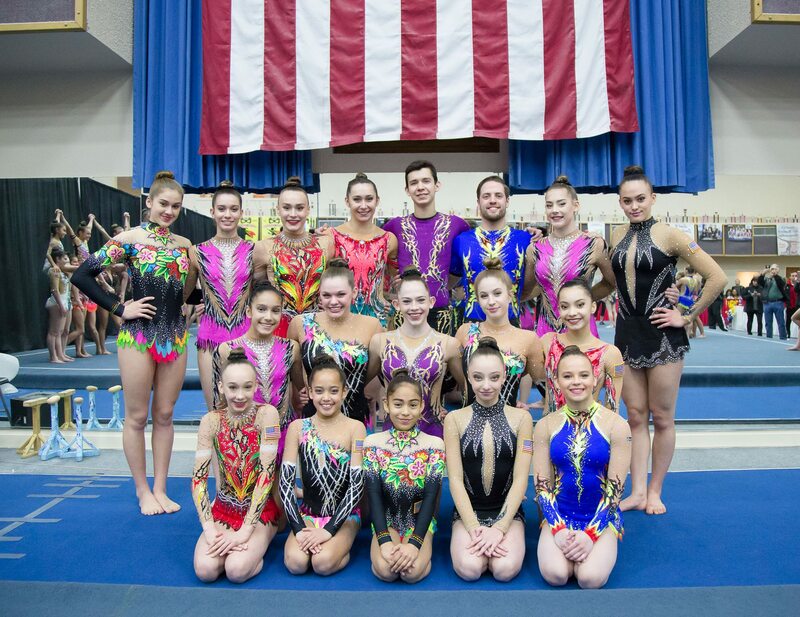 They won silver at nationals in 2017 and also secured bronze at the Geneva Acro Cup and gold at the Pan American Championships. 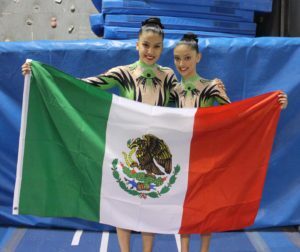 Ximena and Isabel have been partners for two years, and they will be representing Mexico at the World Age Group Competition. 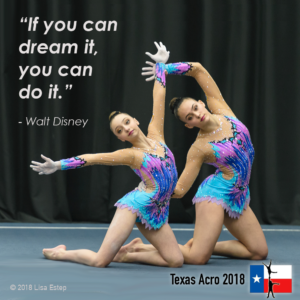 Isabel comes from artistic gymnastics and this is her first acro partnership. 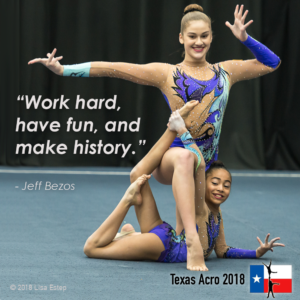 Ximena has been in acro for five years and this is her second trip to Worlds — she was a top in an 11-16 women’s pair at the 2016 competition in China as well.